In Calgary, Alberta from April 17th to 26th. We have some telephone sessions about medium sized businesses. Specifically, we are looking to speak with Business Owners, Partners, Financial Managers, Directors, and/or CFOs. Whose business have between 26 to 99 staff. For this one you cannot have participated in another focus group study in the last 6 months. 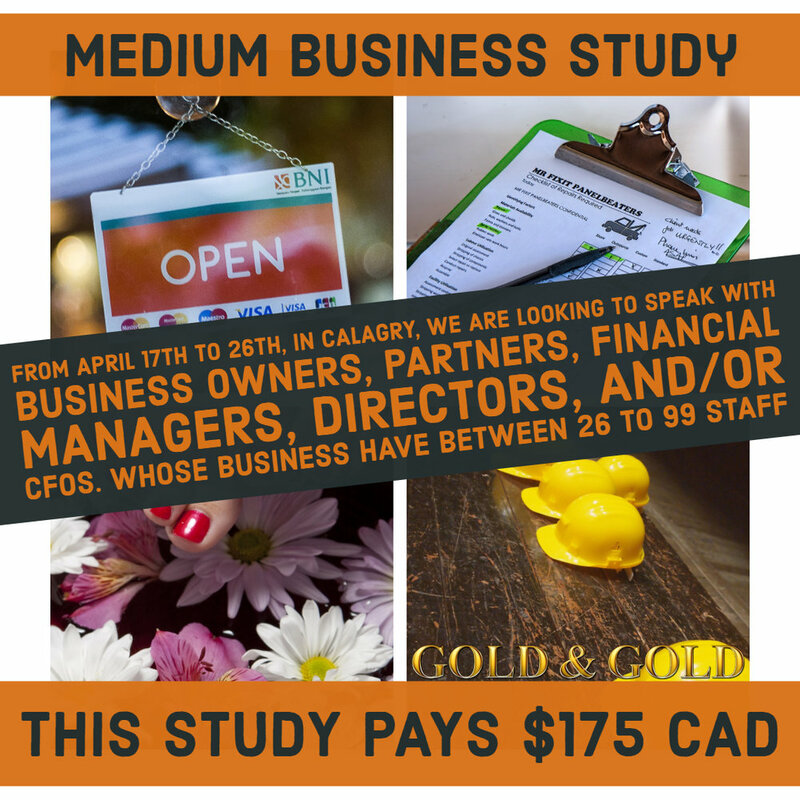 The telephone discussions will take 30 minutes and the study pays $175 CAD.